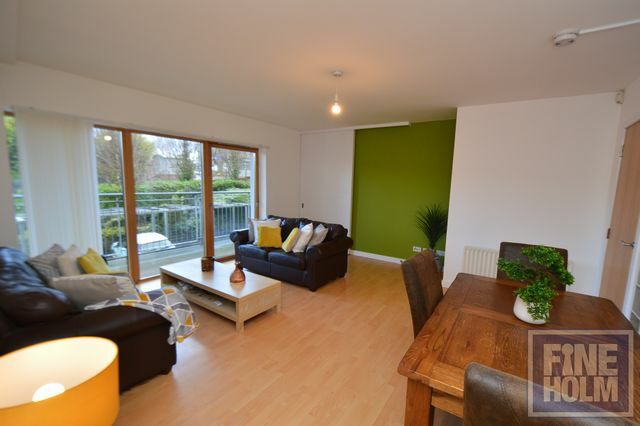 A modern 2 bedroom apartment close to Anniesland Cross. The flat comprises entrance hall with two useful storage cupboards, a bright and spacious lounge/dining room with double glass doors to large balcony, a modern fitted kitchen with appliances and small utility room, master bedroom with fitted wardrobes and en suite bathroom, second double bedroom with en suite shower room and a separate WC. The property further benefits from gas central heating, double glazing, secure door entry and parking space. Anniesland Cross is within walking distance with shops and retail park and Anniesland mainline station has direct links to Glasgow Central/Queen Street.